The modern Jewish calendar is the result of centuries of mathemical, astronomical, and religious calculations. The months of the Hebrew calendar, which are based on lunar cycles, are referred to mostly by number in the Bible, but they were also given names almost identical to the names for the Babylonian months. How did that happen? The Jewish calendar is built on the Babylonian calendar, which the Jews learned to appreciate during the Babylonian Captivity. The calendar is a lunisolar tool, based on a Metonic combination of the cycles of both the moon and the sun. It uses a 19-year cycle, that includes seven leap months, rather than the Gregorian's 400-cycle with many more leap days. The ordinal number of the Hebrew year is the number of Metonic years since the traditional Jewish date of the creation of the world, 3761 BCE. In the Jewish calendar, each month begins when the moon is just a thin crescent, called Rosh Chodesh, and a new moon in Hebraic tradition. The full moon falls in the middle of each month, and the dark of the moon occurs near the end of the month. When the moon reappears in the sky as a crescent again, a new month begins. Lunar months are not 30 or 31 days long, as the the secular (or "civil") calendar, but rather about 29½ days. The lunar year is 12 months long, or approximately 354 days, eleven days shorter than solar year of 365 or so. Half days are impossible to factor into a calendar, so the Hebrew calendar is broken down into either 29 or 30 day monthly increments. Information about the months in the Hebrew calendar. The rabbis who first began working out the Jewish calendar in the fourth century CE recognized that limiting all months to either 29 or 30 days wasn't going to work. Two months were then given a bit more flexibility, Cheshvan and Kislev. Why are Babylonian Names Used? The main purpose of any calendar is to know when to plant crops, the most vital piece of knowledge in the universe for a farmer. Too early, crops are nipped by frost; too late, crops don't ripen. Either way, the community suffers great losses. The basics of the Jewish calendar were acquired during the 6th century BCE "Babylonian captivity" of the Hebrews. Dates and details of that time are debated, but in essence, the Neo-Babylonian ruler Nebuchadnezar II attacked Jerusalem, conquered Judah, dismantled the Temple of Solomon, and deported perhaps one-quarter of the Jews to Babylon. The Jerusalemites in Babylon included the king Jeconiah, his court and perhaps as many as 20,000 others, including the prophet Ezekiel. There they stayed for about 50 years, until Babylon was conquered by the Persian Cyrus the Great in 539 BCE. Cyrus set the Hebrews free to go home, but made Judah a province of the Persian empire. The Babylonian calendar was a lunisolar tool which had about 354 days divided into 12 lunar months, with seven day weeks. Each month began when a crescent moon was first sighted in the sky—if the sky was cloudy, you had to wait until the next night. There were astronomical, mathematical, and religious reasons why the Babylonian calendar wouldn't do. The earth's solar year lasts 365.2422 days. Our lunar cycle lasts 29.53059 days. To get the right dates for planting you need both. That level of precision looks bizarrely detailed for somebody without a calculator, but it was readily apparent to farmers when it fell short. On top of the imprecision, there are religious complications. For example, Rosh Hashanah must begin on a new (crescent) moon, on the first day of the month of Tishri; Passover begins on the 15th of Nisan. Whatever you call the month, Passover must fall in the spring and Rosh Hashanah must begin in the fall, a half year later. Passover also has to have a full moon on the night of the first seder; and there must be a full moon on the first night of Succoth on the 15th of Tishri. There are other requirements as well. After returning to Jerusalem, the Hebrews continued to use the Babylonian calendar for about a century, then they established a Calendar Council (Sod Hadibbur in Hebrew), consisting of the president plus two to six members of the Sanhedrin who were skilled in astronomy and mathematics. For the next 800 years, until the mid-4th century CE, the Calendar Council set the religious and secular calendar up for the Jews of Jerusalem and the growing diaspora. Every month, they were tasked with setting the first day of each month by direct observation of the moon's phases, and determining whether the extra "leap month" was required to maintain the balance between solar and lunar year. Over the 800 years, different rules and adjustments were made. In the 3rd century CE, new rules said that the first day of Rosh Hashanah cannot fall on a Sunday, Wednesday or Friday, so that Yom Kippur wouldn't fall on or near the Sabbath. By the early part of the 4th century, Rabbi Hillel II (died 365 CE) put a fixed calendar in place, so that people would know in advance when the festivals would occur, and when they could more or less safely plant crops. To correct for the quarter day extra in a solar year, the Gregorian calendar has a 400-year cycle that adds an additional "leap day"—February 29—to every year that is divisible by four. Even in a nineteen-year cycle, you still need to correct for the imprecision and to realign the calendar so that Passover falls in spring, which the Hebrew scholars do by adding an extra month to the calendar. In the fifth century BCE, the Greek astronomer Meton (d. 460 BCE) pointed out that the number of days in 19 solar years is almost exactly the same number of days in 235 lunar cycles, a total of 6939.6 days (235 x 29.53059) / (19 x 365.2422) = 6939.689 / 6939.602 = 1.000013). His resulting Metonic cycle is what the Hebrews ended up using—as did the Babylonians, who knew of the Metonic cycle before Meton was born. In other words, over a 19-year period, each Hebrew year varies in length from 353 to 385 days. A 13th month is added at the end of the year seven times in each 19-year cycle: the third, sixth, eighth, 11th, 14th, 17th and 19th years of each cycle has an extra month, which is called Adar Beit. It follows "Adar I" and lasts 29 days. The varying lengths of the Jewish calendar years. The Jewish year is numbered differently from the Gregorian, of course. For one thing, the Gregorian calendar year numbers start with the supposed birth year of the Christian leader Jesus Christ, and the Jewish church is much older than that. Currently, the Jewish calendar is in the 304th 19-year cycle, which runs from 2016 through 2034. According to Jewish tradition, the world was created in the autumn of 3761 BCE (and not, as according to Christian tradition, in the autumn of 4004 BCE); the 305th cycle since creation began in September of 2017, or 5777 years after the creation. The precise date of the creation was first established in the 12th century, by the Jewish philosopher Maimonides (1135–1204): the Jewish year which began in October of 2016 and ended in September of 2017, was the year 5777. Is Calendar Making a Rocket Science? The invention of a reliable, fixed calendar is a complex and difficult task that took millennia to get right. The efforts of the Bronze Age Greeks, Egyptians, Mesopotamians, and Judaen cultures to make sense of the world's seasonality is argubly the linchpin for all the science (and religion, too) that followed. Ajdler, J. Jean. "Rav Safra and the Second Festival Day: Lessons About the Evolution of the Jewish Calendar." Tradition: A Journal of Orthodox Jewish Thought 38.4 (2004): 3–28. Print. Gartenhaus, Solomon, and Arnold Tubis. "The Jewish Calendar—a Mix of Astronomy and Theology." 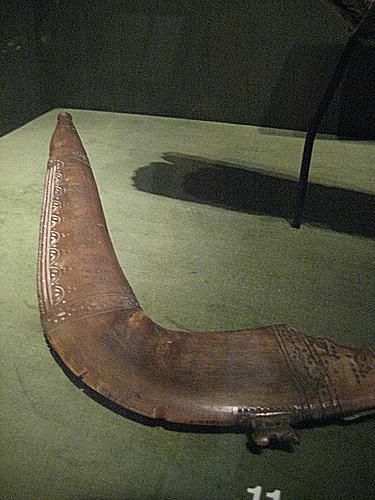 Shofar 25.2 (2007): 104–24. Print. Goldstein, Bernard G. "A Table of New Moons from 1501 to 1577 in a Hebrew Fragment Preserved in the John Rylands Library." Aleph 13.1 (2013): 11–26. Print. Larsson, Gerhard. "When Did the Babylonian Captivity Begin?" The Journal of Theological Studies 18.2 (1967): 417–23. Print. Nothaft, Carl Philipp Emanuel. "A Sixteenth-Century Debate on the Jewish Calendar: Jacob Christmann and Joseph Justus Scaliger." The Jewish Quarterly Review 103.1 (2013): 47–73. Print. Sack, Ronald H. "Nebuchadnezzar Ii and the Old Testament: History Versus Ideology." Judah and the Judeans in the Neo-Babylonian Period. Eds. Lipschits, Oded and Joseph Blenkinsopp. Winona Lake, Indiana: Eisenbrauns, 2003. 221–33. Print. Stern, Sacha, and Justine Isserles. "The Astrological and Calendar Section of the Earliest Maḥzor Vitry Manuscript (MS Ex-Sassoon 535)." Aleph 15.2 (2015): 199–317. Print. What is Olam Ha Ba? What Was the Purpose of the First Temple?